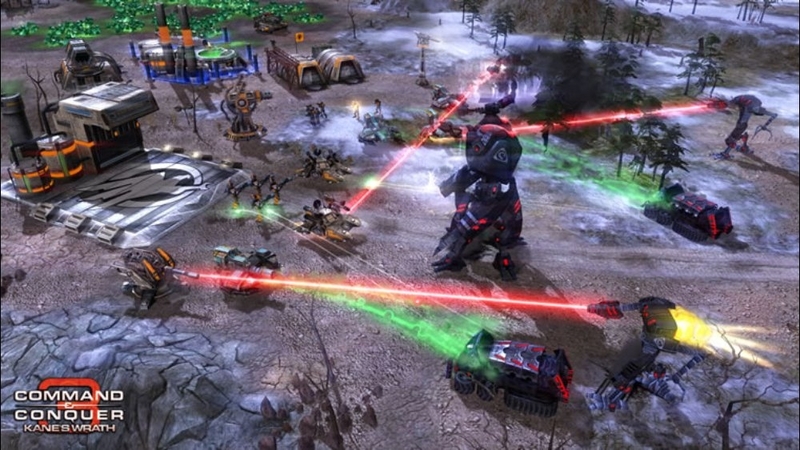 Choose your army and conquer the world in the latest installment of the legendary Command & Conquer saga. Take your part in an epic two-decade conflict told through high-definition video sequences starring Natasha Henstridge, Carl Lumbly, and Joe Kucan as Kane. 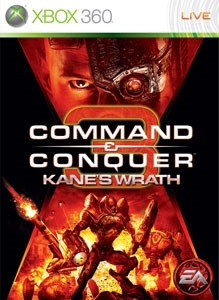 Command & Conquer 3(tm): Kane's Wrath includes all the units, structures, and superpowers from Command & Conquer 3 Tiberium Wars(tm), plus all-new, game-changing Epic Units and the Xbox 360 console-exclusive mode Kane's Challenge. Choose from nine armies and storm the battlefield solo, or take the fight online and demolish your friends in the name of Kane across 50 multiplayer maps. 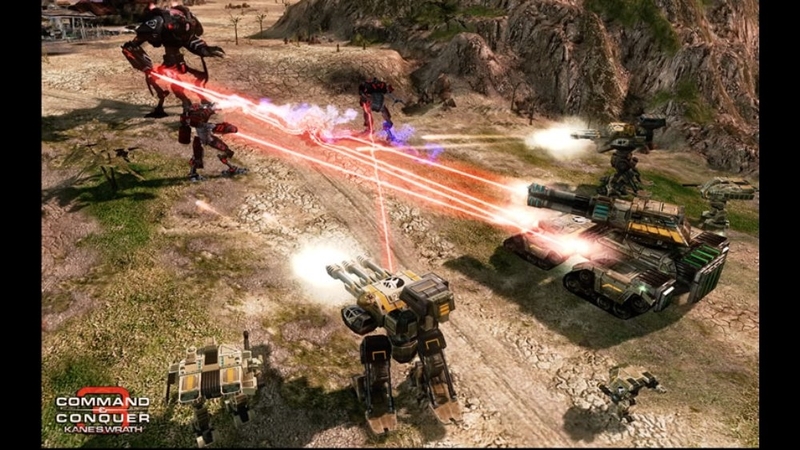 Waging epic warfare on the Xbox 360 console has never been easier as you execute complex orders with a simple flick of your thumb using the all-new CommandStick interface. Your army awaits your command. Kane Lives! Download this map pack and wreck havoc on 4 new maps that can be used in both Skirmish or against other commanders in Xbox LIVE. 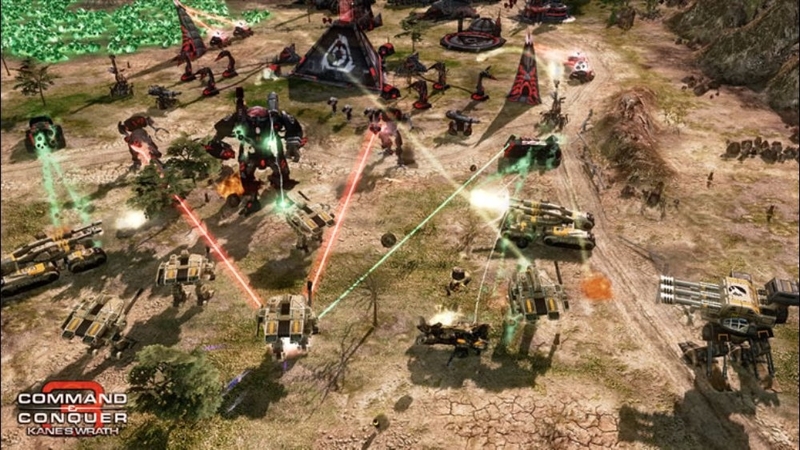 Choose your army and conquer the world in Command & Conquer 3: Kane’s Wrath, the follow up to 2007’s best selling real-time strategy game, C&C 3 Tiberium Wars. This standalone game features the new CommandStick interface, making RTS easier to pick up and play than ever before. Kane’s Wrath includes all the units, structures, and superpowers from Tiberium Wars, giving you over 100 units and structures to command and 9 unique armies, each with its own play style! There are no refunds for this item. For more information, see www.xbox.com/live/accounts. 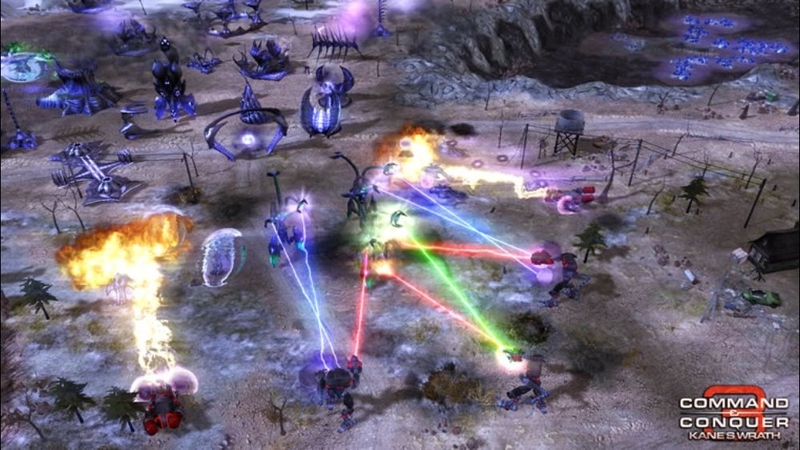 Choose your army and conquer the world in Command & Conquer 3: Kane’s Wrath, the follow up to 2007’s best selling real-time strategy game, C&C 3 Tiberium Wars. This standalone game features the new CommandStick interface, making RTS easier to pick up and play than ever before. Kane’s Wrath includes all the units, structures, and superpowers from Tiberium Wars, giving you over 100 units and structures to command and 9 unique armies to command! The Dark Messiah has returned! Pledge your loyalty to Kane and the Brotherhood of Nod with this theme featuring photos and artwork of Joe Kucan as Kane. There are no refunds for this item. For more information, see www.xbox.com/live/accounts. 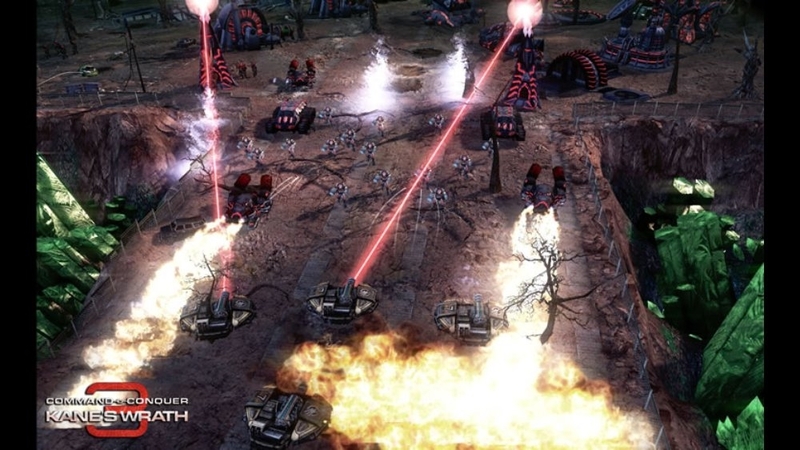 Choose your army and conquer the world in Command & Conquer 3: Kane’s Wrath, the follow up to 2007’s best selling real-time strategy game, C&C 3 Tiberium Wars. This standalone game features the new CommandStick interface, making RTS easier to pick up and play than ever before. Kane’s Wrath includes all the units, structures, and superpowers from Tiberium Wars, giving you over 100 units and structures to command and 9 unique armies, each with its own play style! Spread Tiberium across the planet -claim it as your own for the glory of the Overlord. Unleash this gamerpic pack as Scrin, Traveler-59, and Reaper-17 and continue the infestation across the planet! 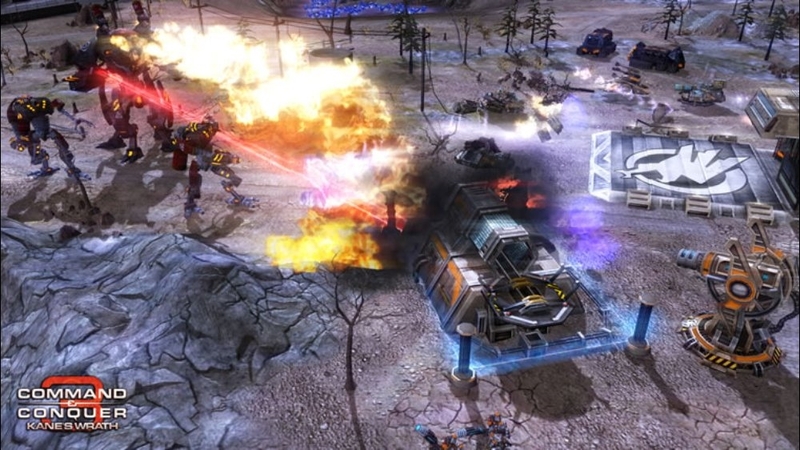 Choose your army and conquer the world in Command & Conquer 3: Kane’s Wrath, the follow up to 2007’s best selling real-time strategy game, C&C 3 Tiberium Wars. This standalone game features the new CommandStick interface, making RTS easier to pick up and play than ever before. Kane’s Wrath includes all the units, structures, and superpowers from Tiberium Wars, giving you over 100 units and structures to command and 9 unique armies, each with its own play style! As GDI, reclaim Earth from the Tiberium infestation that has ravaged the planet. This gamerpic pack contains all your favorite GDI units, including those from the Steel Talon and Zocom sub-factions. There are no refunds for this item. For more information, see www.xbox.com/live/accounts. Choose your army and conquer the world in Command & Conquer 3: Kane’s Wrath, the follow up to 2007’s best selling real-time strategy game, C&C 3 Tiberium Wars. This standalone game features the new CommandStick interface, making RTS easier to pick up and play than ever before. Kane’s Wrath includes all the units, structures, and superpowers from Tiberium Wars, giving you over 100 units and structures to command and 9 unique armies to command! Show your loyalty by downloading these high resolution renders of your favorite units. This theme features the Shatterer, Reckoner, Specter, and Ravager as they appear in Kane's Wrath. There are no refunds for this item. For more information, see www.xbox.com/live/accounts. Choose your army and conquer the world in Command & Conquer 3: Kane’s Wrath, the follow up to 2007’s best selling real-time strategy game, C&C 3 Tiberium Wars. This standalone game features the new CommandStick interface, making RTS easier to pick up and play than ever before. Kane’s Wrath includes all the units, structures, and superpowers from Tiberium Wars, giving you over 100 units and structures to command and 9 unique armies, each with its own play style! Peace through power! Prove your allegiance to the Brotherhood of Nod with this Gamerpic pack featuring Carl Lumbly, Natasha Hendstridge, and Joe Kucan as the infamous Kane! 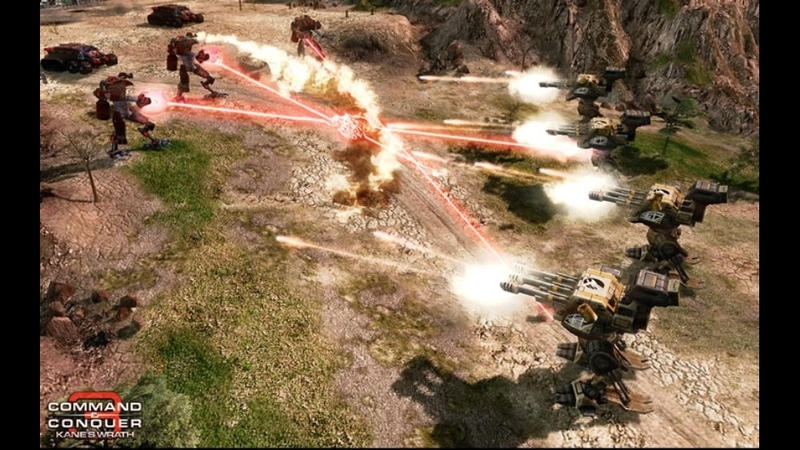 Choose your army and conquer the world in Command & Conquer 3: Kane’s Wrath, the follow up to 2007’s best selling real-time strategy game, C&C 3 Tiberium Wars. This standalone game features the new CommandStick interface, making RTS easier to pick up and play than ever before. 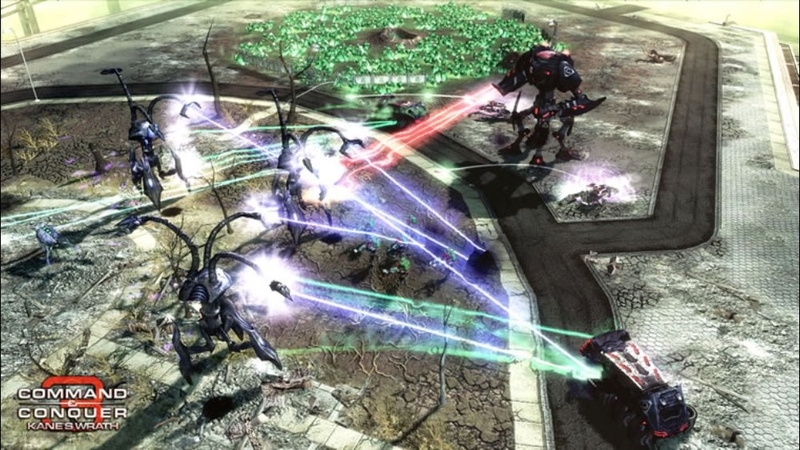 Kane’s Wrath includes all the units, structures, and superpowers from Tiberium Wars, giving you over 100 units and structures to command and 9 unique armies, each with its own play style. The leaders of Nod await your return, prove your loyalty to them and display the power of Nod on your Dashboard. This theme features photos of the stars of Kane's Wrath: Carl Lumbly, Natasha Hendstridge, and Joe Kucan and the infamous Kane! There are no refunds for this item. For more information, see www.xbox.com/live/accounts. Choose your army and conquer the world in Command & Conquer 3: Kane’s Wrath, the follow up to 2007’s best selling real-time strategy game, C&C 3 Tiberium Wars. This standalone game features the new CommandStick interface, making RTS easier to pick up and play than ever before. Kane’s Wrath includes all the units, structures, and superpowers from Tiberium Wars, giving you over 100 units and structures to command and 9 unique armies, each with its own play style! Fulfill Kane's Prophecy! Bring Nod into ultimate power in the name of Kane. Download this gamerpic pack and display all your favorite units from the Nod, Black Hand, and Marked of Kane factions. 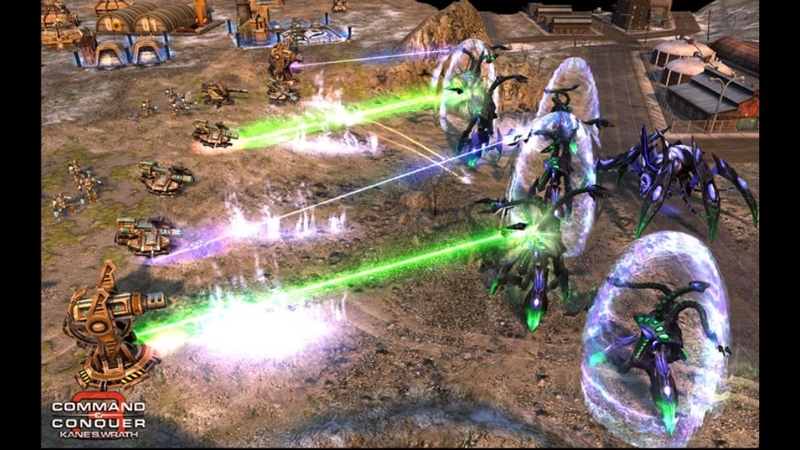 Choose your army and conquer the world in Command & Conquer 3: Kane’s Wrath, the follow up to 2007’s best selling real-time strategy game, C&C 3 Tiberium Wars. This standalone game features the new CommandStick interface, making RTS easier to pick up and play than ever before. Kane’s Wrath includes all the units, structures, and superpowers from Tiberium Wars, giving you over 100 units and structures to command and 9 unique armies to command! Take command of your Dashboard with these 4 rare pieces of concept art from the Kane's Wrath development team. This theme package includes artwork for the Awakened, Zone Raider, Mastermind, and Confessor Cabal units as featured in Kane's Wrath. There are no refunds for this item. For more information, see www.xbox.com/live/accounts. Choose your army and conquer the world in Command & Conquer 3: Kane’s Wrath, the follow up to 2007’s best selling real-time strategy game, C&C 3 Tiberium Wars. This standalone game features the new CommandStick interface, making RTS easier to pick up and play than ever before. 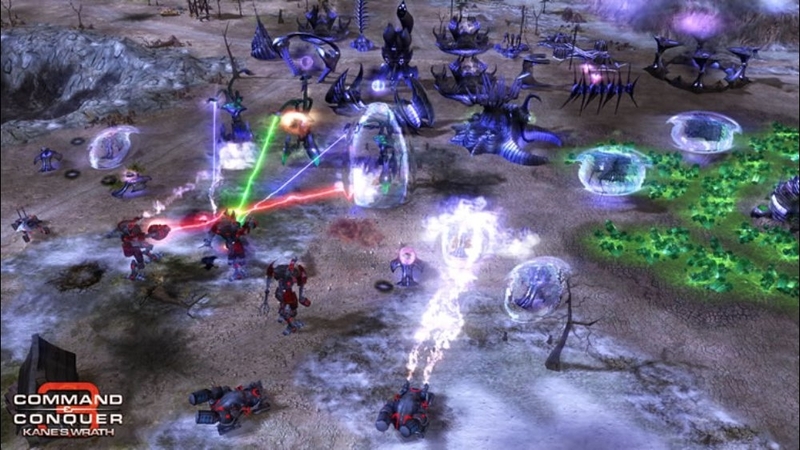 Kane’s Wrath includes all the units, structures, and superpowers from Tiberium Wars, giving you over 100 units and structures to command and 9 unique armies to command. In anticipation of the dark Messiah’s return, pledge your allegiance by downloading the EPIC Units Theme Pack, featuring original GDI, Nod, and Scrin art from the Kane’s Wrath development team. There are no refunds for this item. For more information, see www.xbox.com/live/accounts. 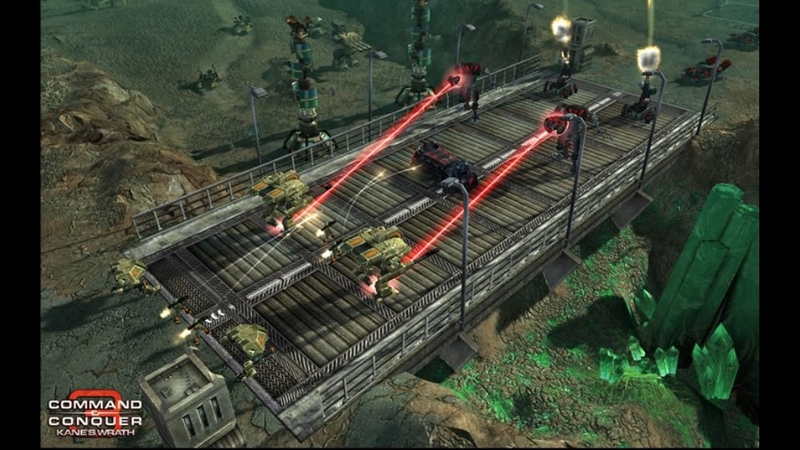 Choose your army and conquer the world in Command & Conquer 3: Kane’s Wrath, the follow up to 2007’s best selling real-time strategy game, C&C 3 Tiberium Wars. This standalone game features the new CommandStick interface, making RTS easier to pick up and play than ever before. Kane’s Wrath includes all the units, structures, and superpowers from Tiberium Wars, giving you over 100 units and structures to command and 9 unique armies, each with its own play style! Whose side are you on? Pick your favorite faction and prove your allegiance with this Gamerpic pack featuring all 9 logos from each army featured in Kane's Wrath. There are no refunds for this item. For more information, see www.xbox.com/live/accounts. Choose your army and conquer the world in Command & Conquer 3: Kane’s Wrath, the follow up to 2007’s best selling real-time strategy game, C&C 3 Tiberium Wars. This standalone game features the new CommandStick interface, making RTS easier to pick up and play for both hardcores and newcomers. Kane’s Wrath includes all the units, structures, and superpowers from Tiberium Wars, giving you over 100 units and structures to command. Choose from 9 armies, each with unique units and abilities built for different play styles. Kane’s Wrath features the X360-exclusive Kane's Challenge mode – the ultimate test of C&C skill with a gauntlet of 80 matches. There are no refunds for this item. For more information, see www.xbox.com/live/accounts.